Ran Neu-Ner, Co-founder of The Creative Counsel – South Africa’s biggest activations agency and subject of the biggest media company buyout in the country’s history, recently shared his entrepreneurial journey with Seed Academy’s Alumni, Clients and Partners – combining his stories & lessons learnt with humor, he had the audience captivated. Ran doesn’t consider himself a serial entrepreneur but rather an entrepreneur from birth – which was evident in the stories he told of his many ventures – some were great successes, some failed spectacularly but all had one thing in common; a willingness to take the risk. 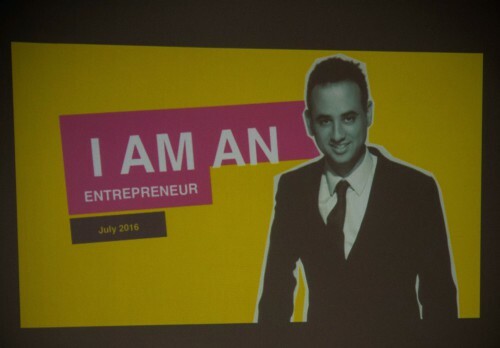 Neu-Ner’s first encounter with entrepreneurship was in primary school where he started the ‘sandwich swop club’ – for a nominal monthly fee, students could exchange their lunch for someone else’s. School goers got variety in their daily lunch and Neu-Ner made money in the process. At an early age Neu-Ner discovered the basis of business and entrepreneurship – find a simple solution to common problems. Ran had lessons for every entrepreneur – even the closet ones! Don’t wait to be an entrepreneur (this one is for the closet entrepreneurs) – the longer you wait the more responsibilities you get and the more comfortable you become in your current situation.